Interbrand releases 2018 list of best Global Brands of the year. According to the list Apple retain the top position as one of the world's most valuable company with estimated worth of 214.5 billion dollars. Whereas Amazon named as best performing company of the year with 56 percent increase in profit as compared to the 2017. Google and Microsoft boast 10% and 16% growth in brand value, respectively. While on the other side Facebook observed a 6 percent decline in brand value as compare to previous year. 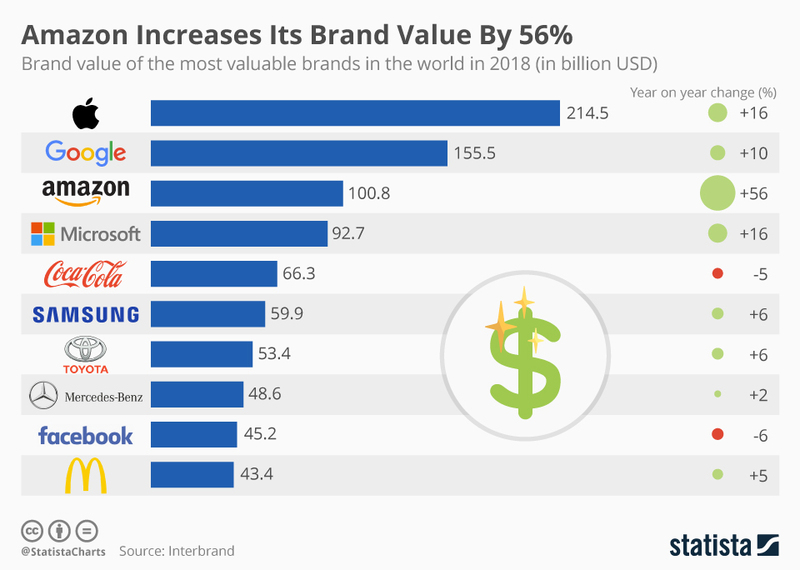 The infographic below highlights the brand value of 2018's most valuable global companies.